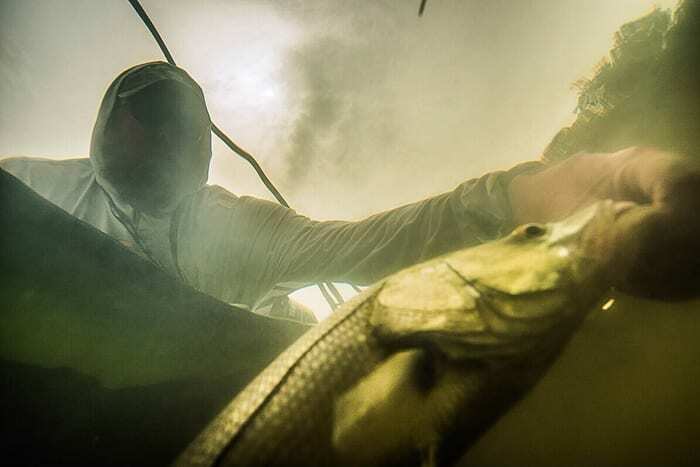 Florida’s Everglades offer some of the World’s best Snook fishing. The rolling and swampy grasslands are a magical vista to cast a fly rod along. The Everglades are untouched by time and modernity. Moreover, it’s said that Snook leap from these waters. These fish are known for electrifying aerial displays. Everglades Snook are a prized catch. These inshore fish are known for possessing two dorsal fins. Snook, in contrast to Tarpon, appear to be a tarnished silver, when pulled from the Everglades sometimes darker waters. The species may easily be identified by the neon yellow along its twin dorsal fins and a black lateral line (which gives them the alias “line-siders”). Often, Everglade Snook can weigh about 8 pounds and can grow to four feet in length. An Angler, at Spirit of the Fly, states that “[Snook] are strong, fast and incredibly acrobatic. I’ve been left breathless and bewildered after battling with snook.” These are undoubtedly a hard fightin’ fish! There’s no better place to catch a Snook than Everglades National Park. Everglades National Park is a prime location to fling a fly rod. The park offers 1.5 million square acres of brackish water. Local Anglers suggest tying on a baitfish pattern to reel-in an Everglades Snook. A popular pattern is the Backwater Muddler Minnow. The essence of this Fly is a spun deer hair head. These flies tend to be versatile, but Snook are particularly attracted to them. You’re almost guaranteed to strop set on a Snook with this Fly. Moreover, anglers have had success with several other variations of homemade Flies. Using some reflective material will imitate a Snook’s natural prey. 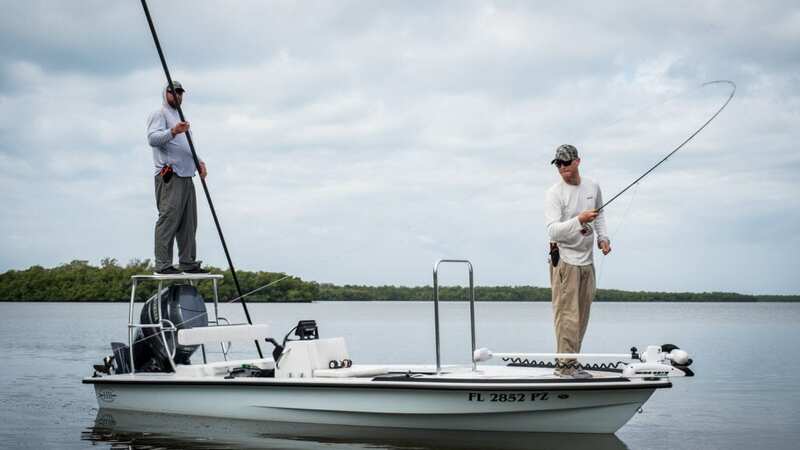 The Everglades shallow waters are often accessed a technical poling skiff. These skiffs can access most waters and bring you close to the fish without spooking them. Fly fishers generally sight cast: cast into the water upon catching site their target. A technical poling skiff (we use a Hell’s Bay Pro) allows for stealth in shallow water, lets the angler gently place a Fly into the water, and lead a snook out of the mangroves to entice a strike. These rolling grasslands are ecologically unique and make for an unforgettable fly fishing experience. A local guide is one of the best ways to access all the Everglades has to offer.